The vineyard offers a unique range of soils, from benchland to gravel strata, as well as varying exposures including hillside slopes and protected pockets. This natural diversity allows us to choose clones ideally suited to each specific vineyard block, ultimately yielding grapes possessing a variety of expressive flavors and characteristics. 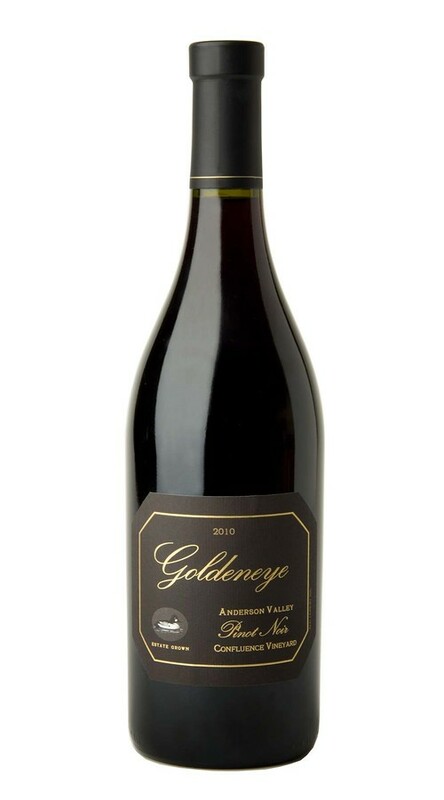 The opulent Pinot Noir produced from this valley floor vineyard displays voluptuous red fruit components and plush, supple tannins. Featuring both hillside and valley floor plantings, Confluence Vineyard is one of the most diverse properties in our Estate portfolio—and the warmest. As a result, even in the cooler 2010 vintage Confluence delivered a wine notable for its depth and richness. The nose begins with fresh cracked cinnamon stick aromas, as well as a hint of iodine. On the palate, the tannins are opulent and firm, adding to this wine’s generous structure, with well-integrated oak that contributes subtle nuances of vanilla bean and caramel. Good acidity adds length to the finish, which concludes with notes of saddle leather and blueberry muffin.